I first spied Troi Zenfants at Bubble London earlier this year and now that spring is in the air, my mind turns back to the gorgeous Troi Zenfants collection. Beautiful fabrics, dominated by crisp linens in neutral shades, delicate patterns and unusual silhouettes stand out in the Troi Zenfants 2010 Summer Collection. I love the butterfly sleeves on girl’s tops and dresses, the sensational playsuits and jumpsuits (can’t say no to channelling the eighties in my opinion), and the cool detailing on the boys ‘car’ shirts. The Summer Collection is available from Cmonpremier who ship internationally. Prices start from €14. 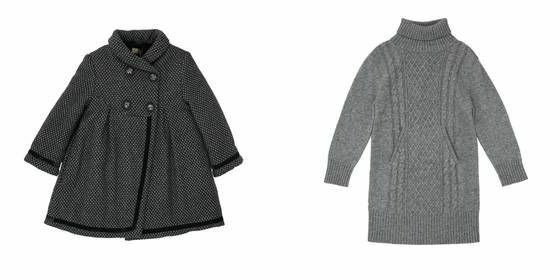 Little Fashion Gallery have some new Troi Zenfants Autumn/ Winter 2010 pieces in store already – even though it is difficult to focus on jackets, coats and all things warm, the tweed duffle coat and the wool turtleneck dress are sensational and can be shipped to Australia.